Supersonic maneuverability is one of the design priorities of the F-22 and one of the “generational” signs of the aircraft and the third-generation fighter. In addition to the aforementioned supercruise and supersonic acceleration/climbing performance, the sustained turn ability in the supersonic state is also significantly improved. According to some sources, the jet has a sustained turn load of 6.5G at M1.7. Considering that the F-15's ability to turn under the same conditions is far poorer, and the Su-27 only reached this level in M0.9, mid altitude, it can be said that this is a rather amazing achievement. The engine is an important reason for achieving such a good supersonic turn performance, but equally important is the supersonic lift-to-drag ratio and trimming capability of the aircraft. Regarding the lift-to-drag ratio, it is not difficult to understand. To pull enough Gs, the wing must produce a corresponding lift, which is accompanied by a sharp increase in induced drag (the drag coefficient is proportional to the square of the wing's angle of attack and inversely proportional to the wing's aspect ratio). If the drag coefficient is too large and the induced drag growth is extremely fast, then the residual thrust of the engine will be offset quickly. Although the aircraft may still pull out a large G load, the engine thrust is not enough to maintain a stable flight. The Mirage III instantaneous turn performance yet poor sustained turn performance is due to this. In terms of modern aviation technology, it is not particularly difficult to design a wing with a high lift-to-drag ratio or a wing with good supersonic performance, but it is not a day's work to combine the two. This is also the point that the F-22 is proud of. The trimming ability is often overlooked. The high lift of the wing is the basis for pulling out the large G loading, but the greater the lift, the greater the pitching moment. If the aircraft itself is unable to provide sufficient pitch trimming torque, either it will go out of the upswing state and lose control, or it will be pressed back by the low head torque generated by the wing lift, and it will not be able to pull the required angle of attack. 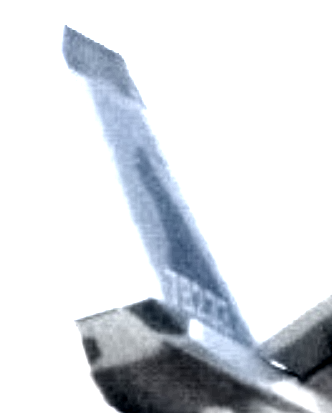 Especially under supersonic conditions, the nuetral point of the aircraft is greatly shifted back, and the heading torque generated by the lift of the wing is quite large, and the supersonic maneuver requires a stronger trimming ability. The MiG-25, known for its supersonic performance, is unable to supersonic maneuver supersonically due to this reason. When the supersonic plane is flying, the flat tail deflection is near the limit and cannot be used for supersonic maneuvers. The margin for maneuvering is quite small, so although the body can withstand a larger load, the maximum sustained turn at M2 is only 3G. To solve the problem of trimming, one is to greatly relax the static stability and move the nuetral point of the aircraft forward. In this way, although the aerodynamic centre of the aircraft will still move backwards during supersonic flight, it would be closer to the center of gravity , resulting in relatively smaller head torque. However, as a result, the aircraft will also face trimming problems when maneuvering at subsonic high angle of attack – this time the head-up torque would be produced by the trimming wing. The near-coupled canard layout that was over-represented by the media, due the close distance between the center of the canard, provides insufficinet trimming ability, which is why the chief of the F-16, Harry Hilllake, once said: "The best position of the canard is on other's plane.” The well-known LAVI fighter has never been able to solve the problem of high angle of attack trim. Therefore, although there were many canard-style layout schemes in the ATF program demonstrations in the past (old fans should remember the “YF-22” imagination of the canard-style layout in the 1980s), the F-22 finally chose the conventinal layout. This layout with strong trimming ability, the longitudinal static stability is also greatly relaxed. Another way to solve the trim is to use thrust vector control (TVC) technology. With TVC, the main advantages are: adding a trimming method on the basis of the pneumatic control surface, the trimming ability is naturally greatly enhanced; the deflection of the pneumatic control surface will generate great resistance when flying at high speed, and the same manipulation effect can be achieved by using TVC, thus there is no need to deflect the control surface; the TVC does not only deflect the thrust vector to generate the normal component, the powerful engine jet will form an ejector in the rear fuselage, creating a new "lift" increment while participating in the trim. The F-22's supersonic maneuverability has been greatly improved, and TVC technology has contributed. In terms of the characteristics of the supersonic maneuverability itself, its greatest advantage is reflected in the increasingly important BVR air combat. As mentioned above, in the BVR air combat, both the attack and the defensive posture, the supercruise capability is very useful, and the supersonic turning ability is the key link to ensure the smooth transition of the offensive and defensive transition. When the AIM-120 enters the self-guided section, the F-22 needs to turn to disingage at high-speed in order to avoid entering the effective range of the opponent's weapon or rushing too fast into the risky close combat. It is conceivable that for an aircraft such as the F-15, in order to turn as quickly as possible, the speed before the turn needs to be maintained near the corner point speed, and then accelerate and disengage after the steering is completed, which inevitably limits the speed at which the AIM-120 is launched. The effective range; or to increase the effective range to the supersonic speed, slow down again after the launch, but sacrificed time. For the F-22, there is no such trouble at all. The good supersonic turning capability allows it to maintain a high energy state during the BVR combat phase to cope with various emergencies. 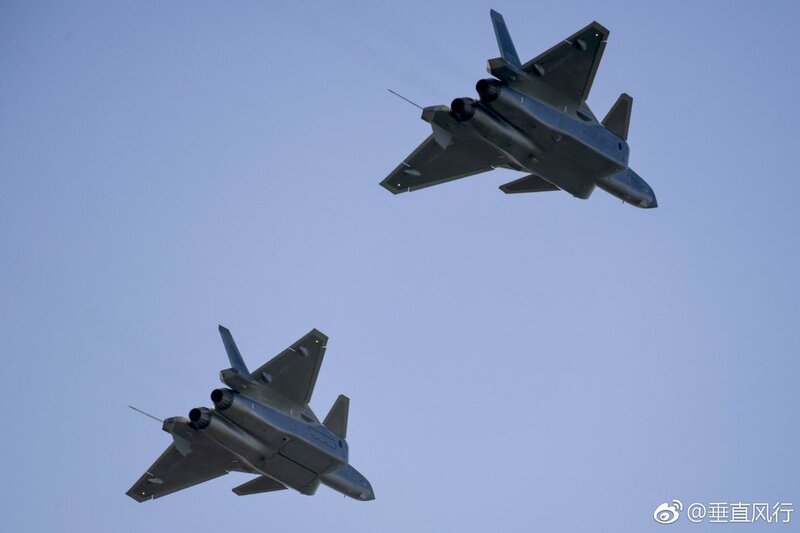 Supersonic maneuverability is a requirement for 5th gen fighters so it is not surprising that J-20 possess a superior supersonic ability compared to 4th gen fighters. Supersonic maneuverability is usually utilised for BVR combat to improve BVR performance. I think this ends the debate on J-20's kinematics capability until more information comes out. bluewater2012, Yodello and jobjed like this. With that post I think you just expressed more incisive xenophobia than the last few pages, jeez.. Put another way, who is the primary competitor for Russian arms in the global weapons marketplace? If the Americans downplay Chinese capabilities fallaciously, it's to enhance their position in strategic competition. If the Russians downplay Chinese capabilities fallaciously, it's to enhance their positions in the arms marketplace. This isn't xenophobia, it's just business. It's more insulting to call someone delusional than dishonest, because the latter is at least the norm in business and politics. When was the last time you heard Pepsi say Coke had a better product and you should buy Coke instead? When was the last time you heard, say, Labour tell their voters not to vote for them and to vote for the Tories instead? It's in the same vein; the Russians will downplay Chinese military capability to encourage potential buyers to buy Russian instead of Chinese. 78238, un numéro d'immatriculation du J-20 qui n'est pas nouveau en soi mais il semblerait que c'est la première fois que l'on le voit sur une photo. 78238, a registration number of the J-20 which is not new in itself but it seems that this is the first time seen in a photo. Yodello, Equation and N00813 like this. FishWings and Yodello like this. It doesn't look like 78238. More like 78233. KIENCHIN, Equation, Tirdent and 3 others like this. What is that mean ? So are there 33 copies of J 20? FishWings, Equation and Hendrik_2000 like this. Interesting! The photo was taken at Zhuhai Airshow, why nobody else shot that number? But 78233 has been identified. It's even in your gallery.